Diamond Marker is used on diamonds before cutting. This marker is an indispensable tool in the hands of a craftsman. - Packing - 480 pcs. in carton. 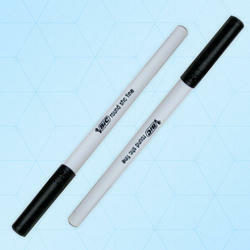 Glass Agencies EROSE are manufacturer of Glass Meking Pencil Both side. Neelikon offers high quality dyes for manufacturing various types of stationary and inkjet inks. Neelikon is one of the few producers of Solvent Green 7 ( Pyranine ) C.I. No. 59040. This colour is used in production of ink used in yellow highlighters / markers. 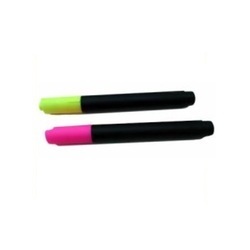 We make sure the Permanent Marker Pen we supply is made up of high quality materials and also possesses high quality ink. Once, you write something with our pen, we ensure no one will be able to erase it by any means. Supported by our patrons’ oriented approach, we are dedicatedly engaged in offering a wide assortment of Colorful Marker Pens.